The great thing about a cappella music is that the only requirement is that no instruments are allowed. This means that so many subsets fall into the category. One of those being barbershop music. While our focus deals quite heavily with contemporary a cappella, we cannot forget other important styles that not only influence a bunch of the music groups currently sing, but also currently counts college level singers among its ranks. That's right, college students sing barbershop. And this coming July, some of the best youth quartets from around the country will feature college students as they compete for the title of "International Youth Barbershop Quartet Champions" at the 2017 Youth Barbershop Quartet Contest. 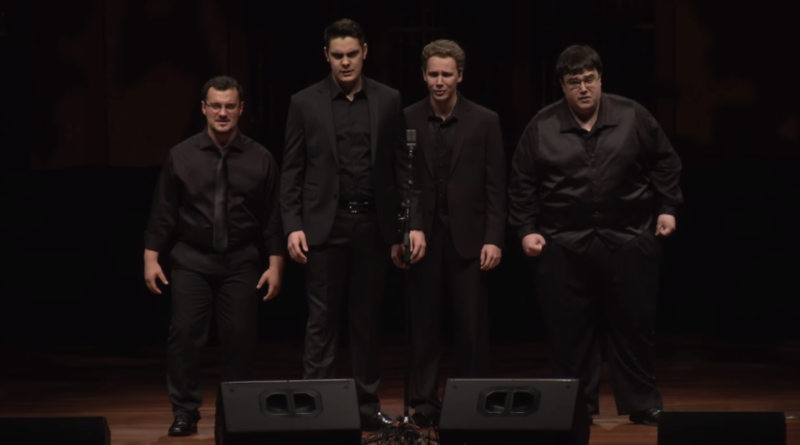 For those new to the world of barbershop quartets, groups of four singers (quartets) perform a cappella songs in a close harmony style that's characterized by four part chords. Where larger contemporary a cappella groups might feature multiple singers covering the same vocal line or creating five and six note chords, barbershop quartets have to be flawless in their delivery as each singer has their own unique part that contributes to the whole. The July 4th event is organized by the Barbershop Harmony Society and will take place at the Planet Hollywood Las Vegas. More details on the event can be found here. Check out this video of last year's Youth Champions Pratt Street Power.